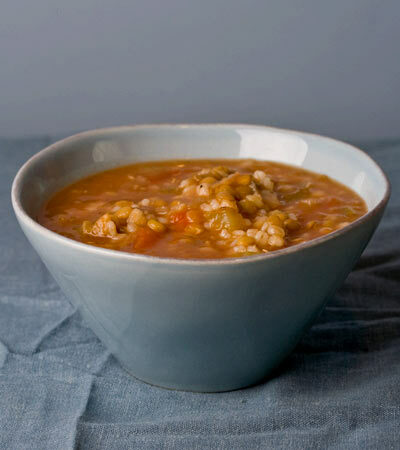 The dominant flavors in this peasants' soup are the fennel seed and celery, which marry well with the earthiness of the lentils and barley. This recipe makes a lot of soup, which is great. Make this on a Sunday and have it waiting in the fridge for most of the week when you need something quick and filling. Want to know what others thought about this recipe? Would you like to comment on this recipe? Go to the Peasants' Soup blog entry. Bring barley to boil in a heavy pot. Cover, turn down to low and cook for 1 hour and 15 minutes. 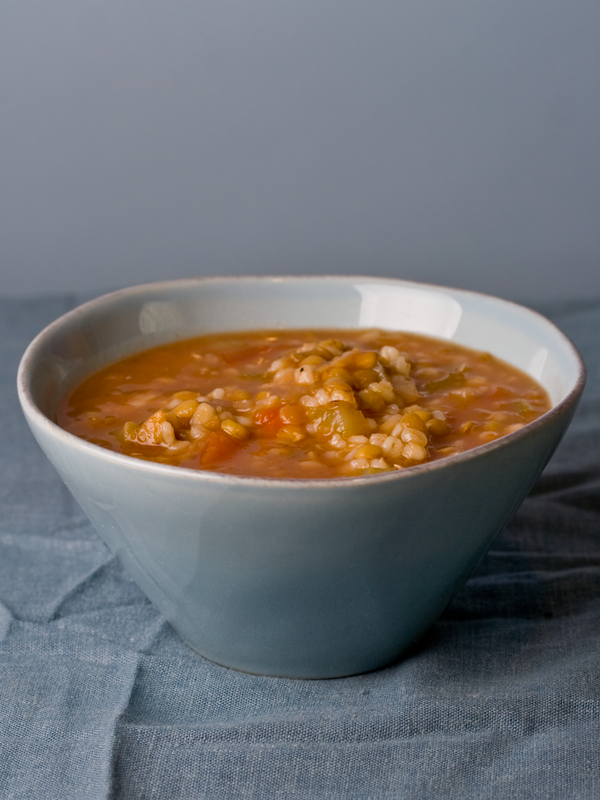 20 Minutes before the barley is finished cooking, place the rest of the ingredients, except for the tomato sauce, in a large stock pot and bring to a boil, turn down to med and cook for 15 to 20 minutes or until lentils are tender. When barley is done, join it with the rest of the ingredients and add the tomato sauce. Bring to a boil and cook an additional 5 minutes.